An audio hotspot is part of a page that will play audio when tapped. To add a hotspot just tap the music note on the editor’s toolbar, and you can then either record directly into the app or import audio from your iPad's library. Once your audio is added you can then position and resize it on the page just like images and text. You can also tap on the hotspot to listen to it whilst editing your book. You can make the hotspot invisible in the final iBook by changing the item's properties with the i button. A great use for invisible hotspots is to place them on top of one of your own images so that your images come alive when tapped by the reader. If the iPad won't record audio, it might be some of the permissions aren't set up right on your iPad. 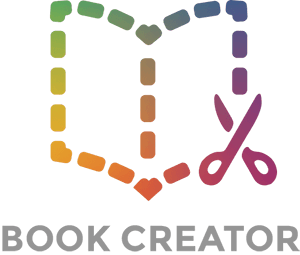 Go to your iPad Settings > Book Creator and see the section which shows which iPad functions Book Creator is able to access. You may need to turn on access to Photos, Microphone or Camera. If that doesn't work, check here: Settings > General > Restrictions. You may have restricted use of the Microphone.